What Kate Baked...and baby! : Flippin' heck! 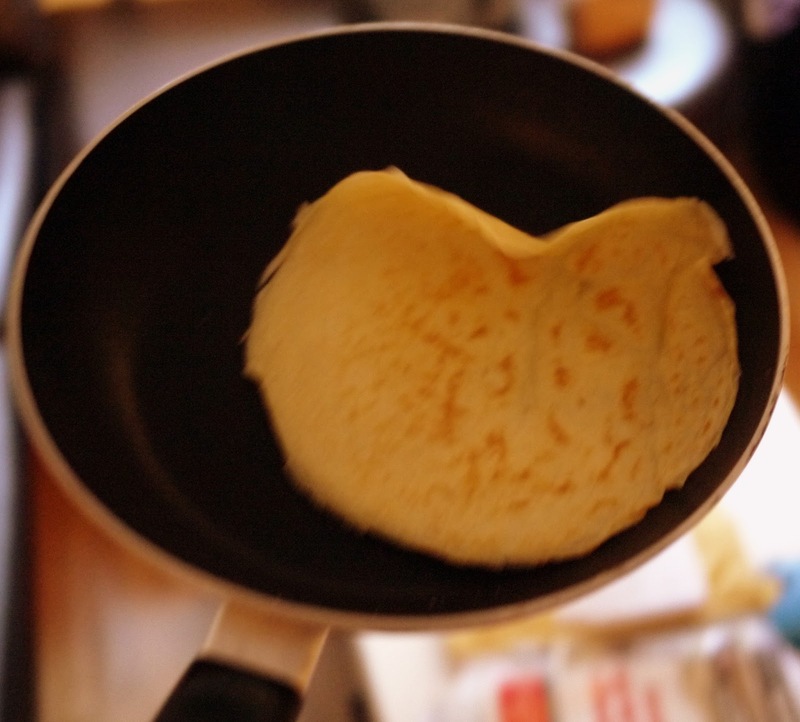 Its Pancake Day! Pancakes! The most fun to be had when preparing food EVER! 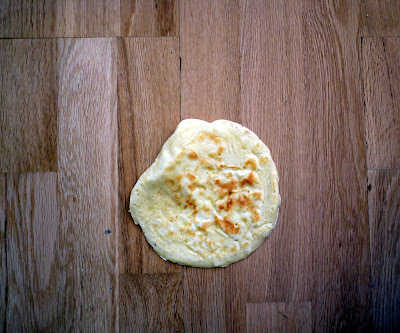 Yes, that is the pancake on the floor. You don't need to see a picture it in our bin. .... and a great big selection of sweet (and probably savoury) toppings! 1. 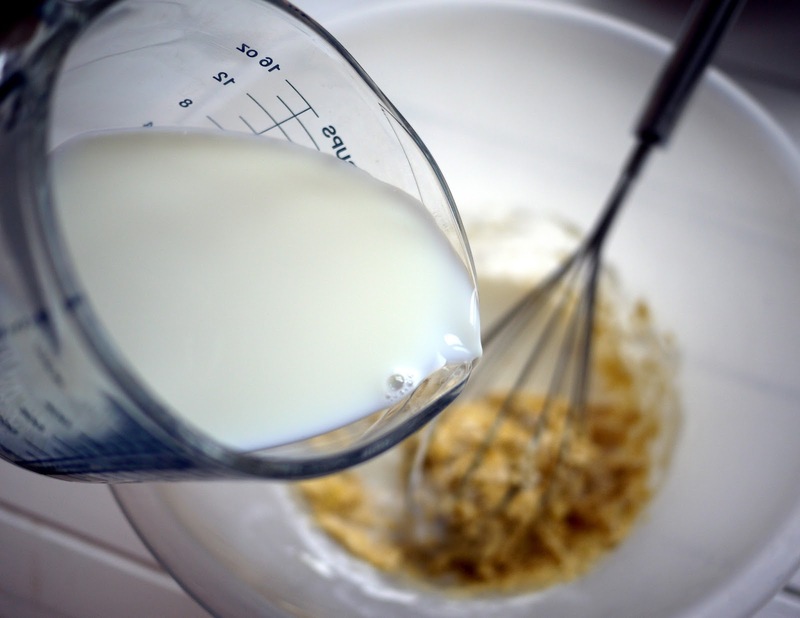 Place the flour and a pinch of salt in a large bowl, make a well in the centre, add the eggs and melted butter and whisk together. 4. 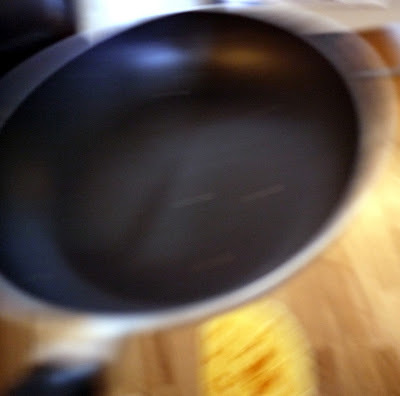 Place a ladleful of the batter in the centre of the pan, tip from side to side to cover the bottom of the pan. After 30-60 seconds use a spatula check to ensure the underside is nicely golden before…flipping! 5. Cook on the other side until golden in colour and cooked through. Transfer to a warm plate and repeat. 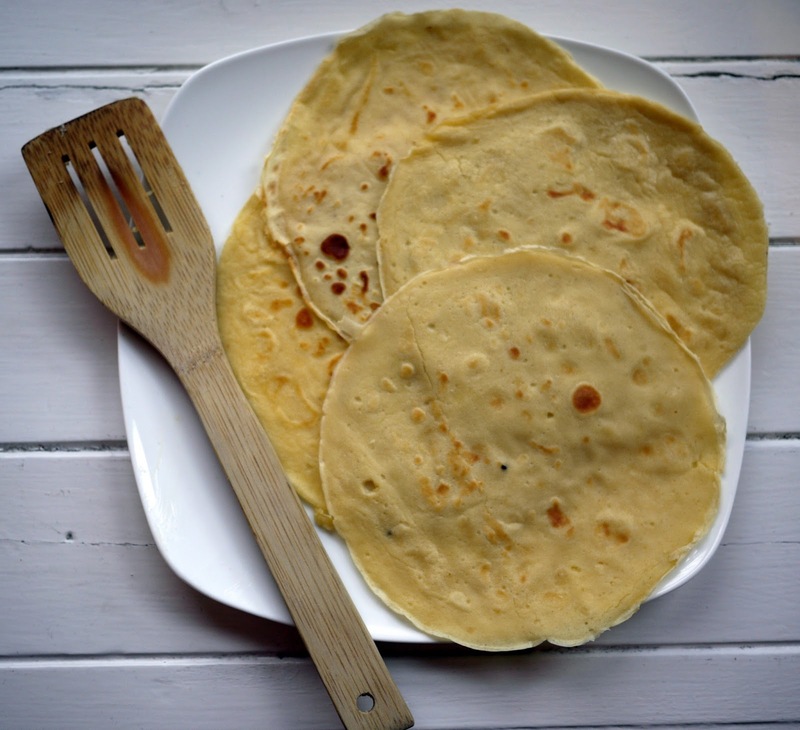 Seperate each pancake with a piece of baking parchment as you stack them. 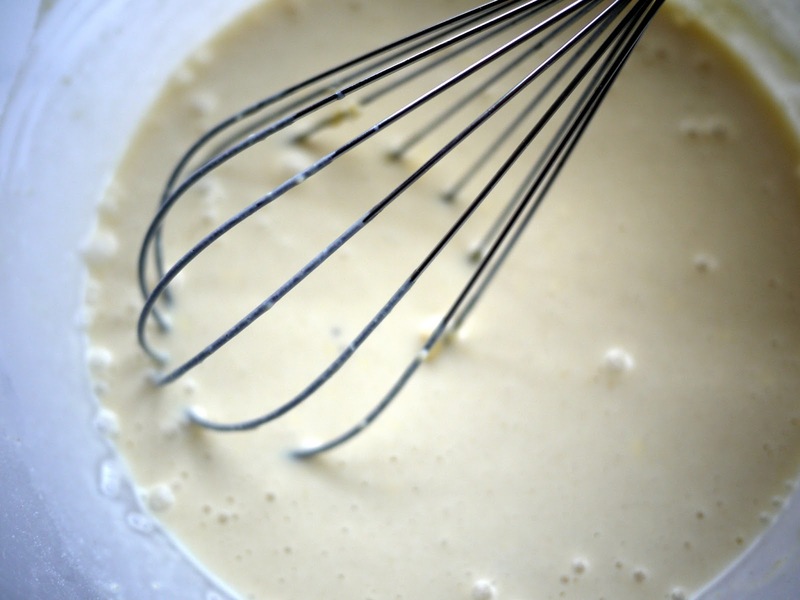 Do you allow the batter to rest? You're in good company if you do- Nigel Slater and Hugh Fearnley-Whittingstall rest their batters for half an hour. The science bit? Resting helps the proteins relax and the starches expand. But Delia and Jamie don't appear to be fussed about chilled out proteins and fat starches- they get stuck straight into making their pancakes. Myself? I made a 'rested' batch and a 'non-rested' batch. In all honesty, to my under developed palate both batchs tasted just the same. You can make the pancakes in advance. To reheat, cover the pancake stack loosely with foil and place in a preheated oven at Gas Mark 1/ 275°F /140°C for 10-15 minutes. I bet this is what is going to happen to my pancakes tonight! 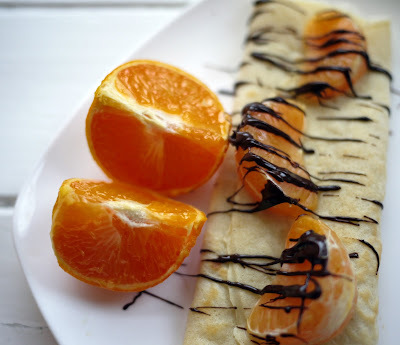 Love the look of orange and chocolate pancakes. Mine were so plain in comparison just sugar and lemon. Did you follow the two second rule with the pancake that went southward? What lovely ideas. I rest my batter but more out of habit than thinking it will affect the taste. 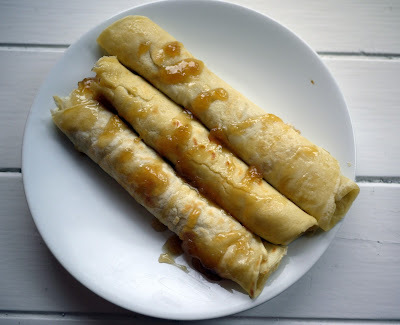 I will be flipping along tonight with maple syrup & blueberries as well as lemon & sugar! Great ideas for fillings. Have got the teashirt for floor pancakes! I rest my batter too, but not sure why; guess it's because that's how Mum did it. Some great topping ideas! Especially like the rocky road idea! Love the chocolate and orange idea, definitely going to try this!